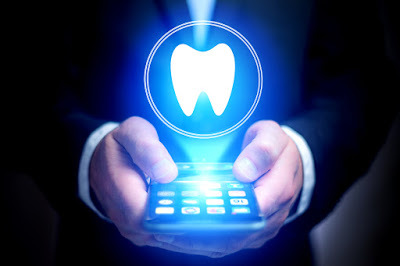 3 Dental Musts to Have in Your Phone - Adelberg Montalvan Pediatric Dental PC & Orthodontics too! Technology is a wonderful thing. Not only does it allow us to stay connected and in the know, but it has afforded us the opportunity to stay organized as well. Nowadays, folks keep everything at the ready in their phones, and these dental musts should be no different! Booked Appointments: Gone are the days of getting that dreaded “you missed your child’s appointment” voicemail. Or worse — remembering your child’s appointment just in time for it to be too late. While you’re scheduling your next visit, either over the phone or in the office, plug it right into your phone’s calendar feature. That way, you’ll be more likely to remember! Scheduled Reminders: Sure, you could schedule a reminder for your child’s appointment, but let’s take it a step further. How about setting alarms to remind you and your children when to brush or floss? The world is a busy place! We know brushing and flossing can sometimes fall to the wayside, but scheduling reminders in your phone can only help. Our Phone Number: Emergencies happen, which is why it’s so important to have your dentist’s number on hand, just in case. Here at Adelberg Montalvan, we’ve got offices in Massapequa Park (516-798-1111), Nesconset (631-360-7337) and West Islip (631-661-7337). Why not plug all three into your phonebook right now? That way, you’re covered no matter where you are on Long Island if a dental disaster strikes.